Now that summer has arrived, it’s the perfect time to begin a new workout plan or to boost the workouts that you’ve already been doing. Fitness professional, kettlebell expert and author Roger Hall has these tips to make your workouts fun and more effective. Take it outside and keep your workouts fun and interesting. Keeping your workouts engaging is the key to staying dedicated to fitness. Take advantage of the summer time sun and take your workout to the great outdoors! Set goals for yourself and stick to them. Having an accountability partner is a great way to accomplish goals. Make sure you support one another. Get a grip on kettlebells. Kettlebells are great for building overall fitness and a rock-solid core. Here’s an example workout for beginners: perform 10 swings, 10 goblet squats, and 10 alternating swings, as many times as you can in 10 minutes. Good form is essential. Performing just 2–3 kettlebell “complexes” a week can lead to a dramatic improvement in physical fitness. Take it up a notch. Try performing 200 kettlebells swings in addition to your regular workout to boost fat loss and gain lean muscle. Keep your weights heavy during workouts. 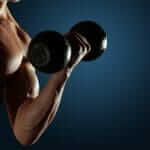 Heavier weights means more muscle, which means more calories burned, resulting in a leaner body. Keep your rest days active. Kayak, hike, or bike; vary how hard you work to allow your body time to recover. For example, when hiking, keep parts of the hike fast and intense, then slow down. Be sure to break a sweat. Eat smart for summer. Avoid the simple carbs, easy to find during the summer months. When grilling, try a Portobello mushroom for your burger, instead of having a bun. Or, try making a traditional potato salad with sweet potato instead; just be sure to slightly undercook the sweet potato! If you choose to drink alcohol, avoid high calorie mixers; tequila with lime juice and soda makes for a great summer drink. Roger Hall is an HKC certified kettlebell trainer. He holds a master’s degree in education from the University at Albany. Roger has trained and been involved in fitness for 8 years. He currently lives in upstate New York where he opened a thriving kettlebell studio. 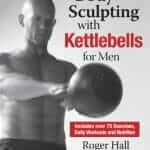 He is author of Body Sculpting with Kettlebells for Men and the forthcoming Tabata Workout Handbook.